As posted on Facebook, the Canton 7 will closing on Thursday May 9. 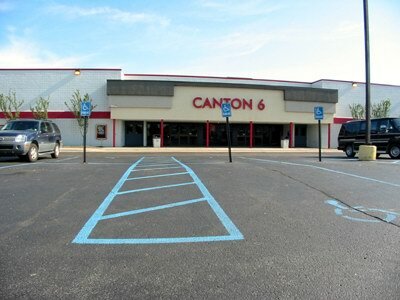 The Canton Cinemas now feature digital projection on all 7 of their screens. Cinema expands to be competitive Canton Township sites stadium seating is part of renovation By Eric Lacy / The Detroit News CANTON TOWNSHIP — Competition is brewing between two movie theater companies that seek patrons who demand an upscale viewing experience. Once 18-screen megaplex Emagine Canton opens this summer, Canton Cinema 6 will counter with a $1. 2 million improvement project. The project, which includes the addition of a 50-foot screen and stadium seating for all screens, is expected to be complete in November. Once complete, Cinema 6 will change its name to Cinema 7 and have a new facade that includes decorative landscaping. Theater owners decided to give Cinema 6, which is 18 years old, a different look several years ago because the venue lacked business. Longtime patrons of the theater began to go elsewhere, said Bill McMannis, vice president and general manager of Goodrich Quality Theaters, which owns Cinema 6. “The industry as a whole went through a tough time,” McMannis said. “We didn’t go through bankruptcy with the theater or anything like that, but it definitely was a challenge. ” If the Township Board approves the project within the next month, construction of the additional screen could begin in May or June. “It’s time for us to stop talking about the project and do it,” said McMannis, who denies that Emagine’s soon-to-be opening speeded up plans. Small theaters ranging from eight screens to one screen have struggled in Metro Detroit for several years. Venues in communities such as Berkley, Troy, Rochester Hills and recently Plymouth closed because of poor business and stiffer competition from megaplexes. Plymouth’s Penn Theatre, a single screen venue, has been closed since January. The Penn’s future is uncertain because real estate investors bought it March 5. Lifelong Plymouth residents Chris Knight and Patrick Tortora could re-open the Penn for movies or build a restaurant on the Penniman Avenue property. In Canton, it’s uncertain whether Cinema 6 and Emagine can coexist. Only patrons can decide if it’s worth having both, Township Supervisor Tom Yack said. “People in the marketplace decide how many there is of anything,” Yack said. “It’s like any other business. Maybe Canton can only support seven drug stores instead of eight. Who knows? “It’s the same with theaters. It will be interesting to see how people respond to both,” he said. Bigger screens, comfortable seating and more attractive landscaping at Cinema 6 are welcomed by Shaun Seabolt, a 34-year-old Plymouth Township resident. Seabolt takes her two children, Katie, 4, and Quinton, 7, to the theater at least every other week and enjoys its “cozy atmosphere. ” “I think it would be fabulous for the theater to get improvements, as long as it doesn’t take away from its small hometown kind of feeling,” Seabolt said. “Sometimes the larger theater can be intimidating for children. ” Seabolt is convinced Cinema 6 can survive once Emagine opens. “It will be OK no matter what because people know it and like it there,” Seabolt said. 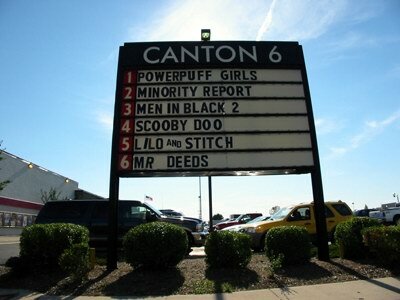 Just wanted to let you know that the Canton 6 was built by General Cinemas and was bought out by Goodrich Quality Theaters in 1999. The expansion plans are still going forward with a 7th auditorium and stadiumizattion of the original 6. The entire building will be modernized and updated.